February is a tricky month for our family, that’s when our cultures clash. 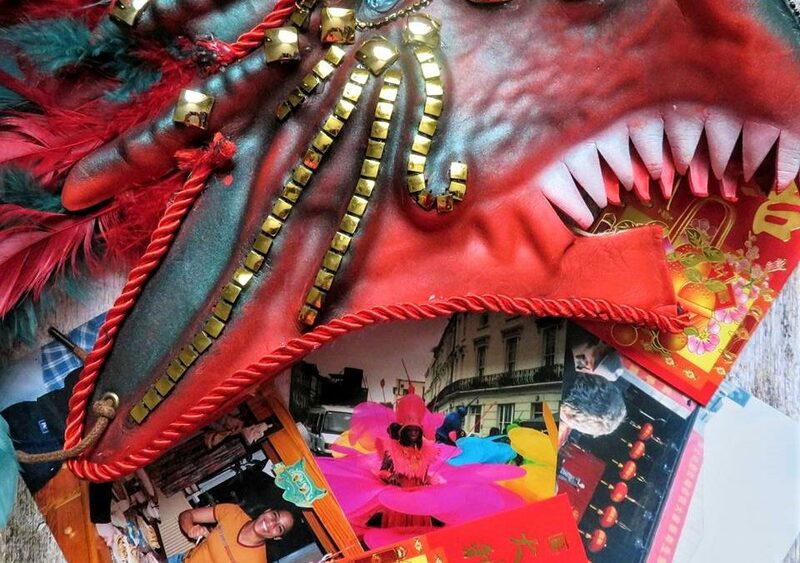 It’s the month of Chinese New Year, Shrove Tuesday and Carnival in Trinbago. It’s a challenge to celebrate it all with the children sometimes. England is their country of birth. Pancakes definitely go down a treat. They connect with their Chinese heritage because they see their dad’s family from time to time. They also enjoy the mysticism and magic behind the story of Chinese New Year. While Carnival is not relatable, especially since London’s Notting Hill Carnival is in August when we are away. However, I’ve finally found a compromise. 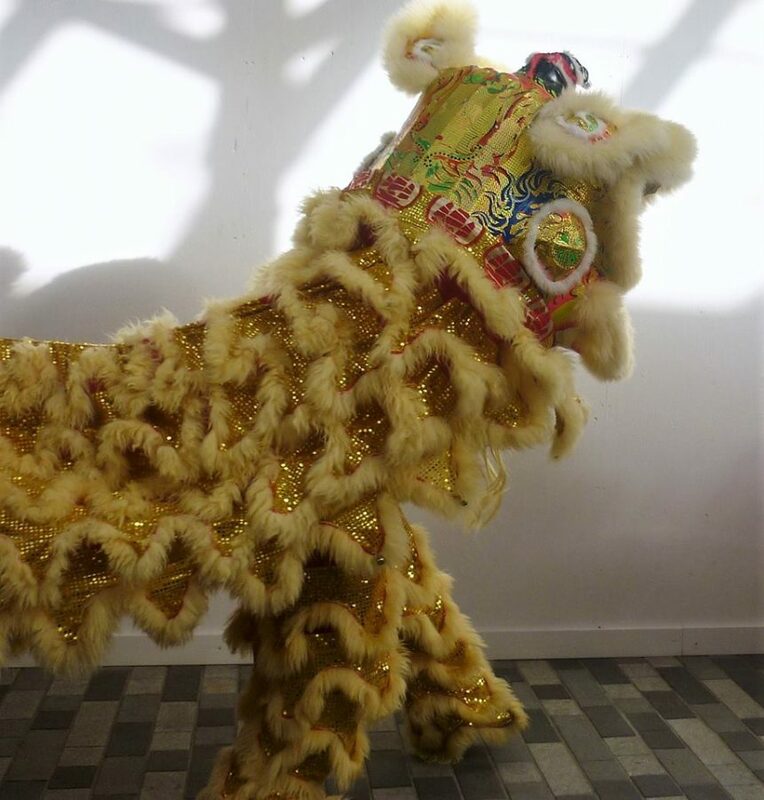 We will celebrate Chinese New Year by attending the festivities in London and Trove Tuesday at home making pancakes. Then in early summer, we will do Carnival crafts and museum trips. Let’s begin with Chinese New Year. In Chinese astrology, each year is related to a Chinese zodiac animal according to the 12-year cycle. 2018 is an Earth Dog Year. It is believed that a person’s characteristics are decided by their birth year’s zodiac animal sign and element. There are five types of Dogs, each with different characteristics; the Earth Dog is Communicative, serious, and responsible in work. Traditionally, Chinese New Year celebration includes family reunions with a big feast of traditional dishes such as; fish for prosperity, dumplings for wealth, Tanguyan (sweet Rice Balls) for family togetherness and longevity noodles for happiness and longevity. Red envelopes, fire crackers and new clothes are also a part of it. In Central London the festivities take place across the West End, from Shaftesbury Avenue, in the north down to Trafalgar Square. The main stage is in Trafalgar Square and more can be found on Shaftesbury Avenue and Charing Cross Road. The kids don’t like too much noise and crowds. We will aim for a couple performances, an early lunch, then end by festival trinkets treats and/or books. Opium (one for the grownups) located above Gerrard Street, ambience is 1920’s Shanghai with a twist of modern indulgence There are two floors both have The Zodiac menu as well as their individual floor menus. It’s on my wishlist of date venues for Hubby and I, after the CNY. Firstly, I’m looking forward to trying their Trinidad Manhattan, which is on the Apothecary Menu. Trinidad Manhattan’s ingredients include Amaro di ANGOSTURA® (made by The House of Angostura derived from the bespoke process used in creating their iconic aromatic bitters). I’m pretty sure Hubby will go for a bespoke tea and of course, the Dim Sum! Place to visit; Guanghwa Bookshop on Shaftsbury Avenue was co-founded by Mr Deng Jiaxiang and Mr Liu Xin in 1971. It’s meant to be great for coffee-table art books and Chinese language learning aids for English speakers. I definitely want to check out the downstairs which has children’s books, Chinese craft and stationary. Furthermore, there’s Lo’s Noodle Factory, | Noodle factory, Oriental Delight, New Loon Moon Supermarket to mention a few. How will you be celebrating Chinese New Year? Tell us all about it, comment below.